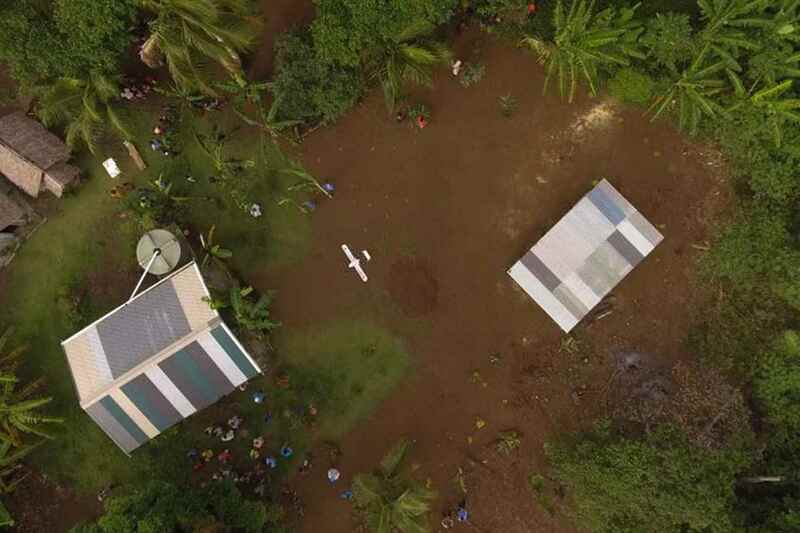 They have been used to deliver food, provide aerial surveillance and now drones are delivering life-saving vaccines to some of the most remote communities in Vanuatu. She is only four-weeks-old, but Joy Nowai has already made history. She is the first child to be immunised with vaccines delivered by drone in the remote village of Cook’s Bay, Vanuatu. For a remote village that has no access to health centres or electricity and is only accessible by foot or by small local “banana” boats - it is a big deal. In Vanuatu, which is made up of more than 80 islands, one in five children miss out on vaccinations because their communities are so hard to reach. Joy missed her first vaccines after birth because no nurses were available in her village that week and the nearest health centre was too far for her mother, Julie, to walk. “I am so happy the drone brought the stick medicine to Cook’s Bay as I don’t have to walk several hours to Port Narvin for her vaccines,” Julie says. ​The drone travelled 40 kilometres across the island of Erromango before landing in Cook’s Bay. After a short 25 minute flight, the drone landed and was welcomed by a crowd of people - including families who walked several kilometres just to witness the landing - and greeted by a traditional dance marking the beginning of something “new” and “good”. Among them was baby Joy, who was waiting to be immunised against tuberculosis and hepatitis B by local nurse Miriam Nampil. In the past, Miriam would normally trek for several hours over mountainous terrain, carrying an ice box to keep vaccines cool. It is just like transporting a block of ice. If at any stage the vaccine’s temperature drops below two degrees or rises above eight, it can become unusable. Her only other option was by boat, which was often cancelled due to bad weather or dangerous sea conditions with waves reaching as high as three to five metres. 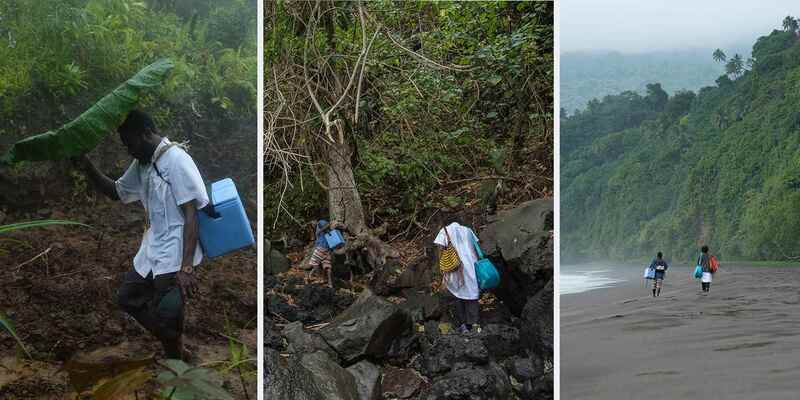 “It’s extremely hard to carry ice boxes to keep the vaccines cool while walking across rivers, mountains, through the rain and across rocky ledges,” Miriam, 55, says. “It might take at least two or more hours to trek each way to get across to Cook’s Bay to vaccinate the children and to return back home in the evening on the same day. “As the journey is often long and difficult, I can only get there once a month to vaccinate children." in the remotest areas of the island." UNICEF and the Vanuatu Government began trialling the use of two drones companies, Germany's WingCopter and Australia's Swoop Aero, thanks to funding from the Australian Government Department of Foreign Affairs and Trade’s (DFAT) innovationXchange. The two drone companies commenced their trials in early December. Swoop Aero has since moved to phase two, becoming the first commercial drone to deliver a vaccine to a baby. 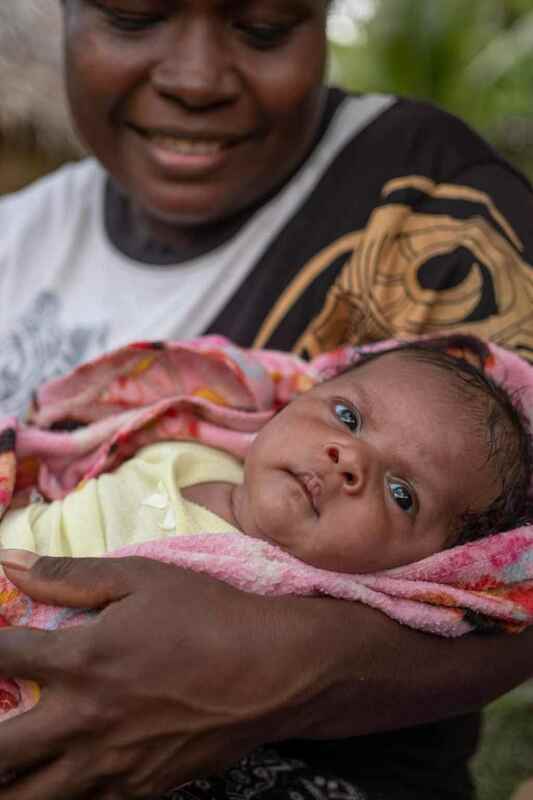 A lot of progress has been made in Vanuatu over the past five years to increase the vaccination coverage, however many children and parents still face challenges in accessing all of the recommended routine shots. Already, 13 children and five pregnant women have been vaccinated by Miriam thanks to the drone delivery. “The drone project will change my life,” Miriam says. 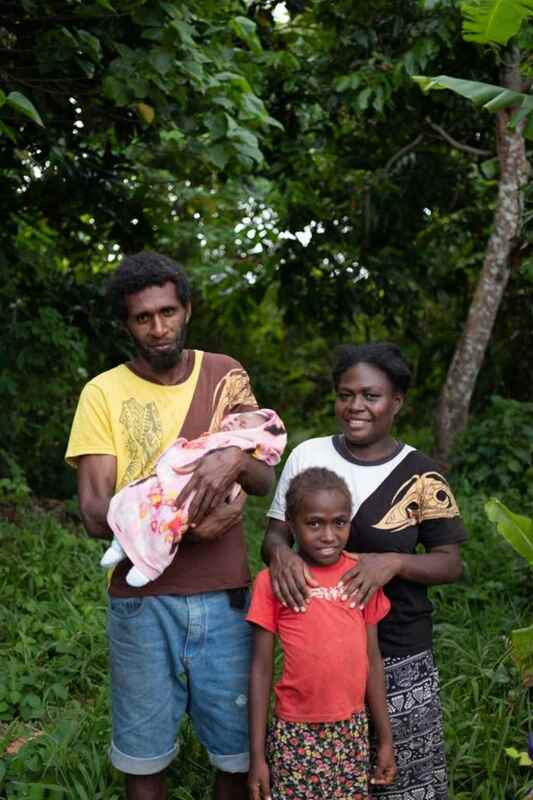 "I'm really excited to receive the drone and retrieve the vaccines for the babies in Cook's Bay." 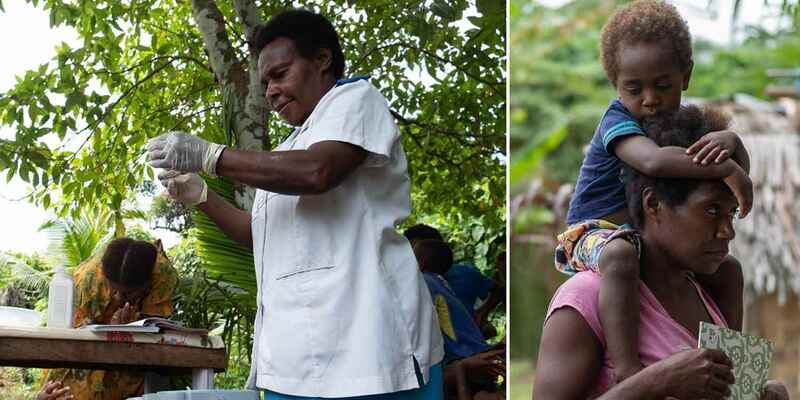 This pilot was led by Vanuatu's Ministry of Health and the Civil Aviation Authority of Vanuatu, with support from the Department of Foreign Affairs and Trade (via the innovationXchange), UNICEF, and The Global Fund to Fight Aids, Tuberculosis and Malaria. This blog was originally published on the UNICEF Australia website here.